Washington, D.C.: The American Short Line and Regional Railroad Association (ASLRRA) has published an Economic Impact Report which demonstrates the positive contribution of the short-line rail industry to the US economy and the importance of the Short-Line Tax Credit (45G) for stimulating investment in it. The report, which was prepared for ASLRRA by PricewaterhouseCoopers LLP (PwC), highlights several statistics which underline the importance of short lines. These operators directly employ 17,100 people across the US and the report estimates that approximately 43,970 jobs at suppliers, contractors and other companies are supported by the short-line rail industry. The report notes that in 2016 478,820 jobs were provided by industries reliant on short-line services. These industries also generated $26.1 billion of labour income and added $56.2 billion to the U.S. economy. Of these industries, manufacturing, agriculture and mining are particularly dependent on short lines to support their operations. The report also illustrates the importance of the short-line tax credit for stimulating investment in the industry’s infrastructure. The analysis notes that according to the Federal Railroad Administration derailments on these lines have decreased by 50% since the Short-Line Tax Credit was introduced by Congress in 2004. The credit reduces the cost of capital expenditure for short-line companies by approximately 63% and incentivises investment in infrastructure to support operations on short lines. 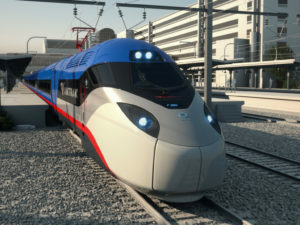 The ASLRRA, in partnership with other trade organisations in the US rail industry, has long argued that an extension of the credit is necessary to maintain the standards of safety and performance facilitated by these investments. The Railway Tie Association (RTA) estimates that since the introduction of the credit short lines have purchased $50 million worth of wooden railway ties (sleepers), which it believes exceeds the number of ties purchased without the credit by one million units. “The report definitively shows what the industry has long known. Short lines are a critical piece of the U.S. transportation network, and in fact the entire U.S. economy. The report argues that by reducing the cost of capital expenditure by 63% the Short-Line Tax Credit stimulates a 47.3% increase in investment. This compares very favourably to the 1.2% decrease in the cost of capital investment facilitated by reductions in the corporate tax rate, which only incentivises a 0.9% increase in investment. Since its introduction in 2004 Congress has approved several extensions of the tax credit, but the ASLRRA, the RTA and other trade organisations are campaigning for it to be made a permanent measure.